Every year Pantone announces it’s colour of the year. In 2016, for the first time they announced dual colours of the year – Rose Quartz and Serenity. These pastel shades are much softer than Marsala in 2015 and Radiant Orchid in 2014. The combination of these soft colours is both calming and romantic. To me, the combination of colours reminds me of the soft blues and pinks you see in the sky at sunset, evoking feelings of peace and tranquility. So what does it mean for interiors? Well, no, you don’t have to decorate your home to resemble a gelato or baby’s nursery. At DIY Decorator, we’re big believers in neutral backgrounds and timeless classics, but that doesn’t mean you can’t introduce a bit of rose quartz or serenity into your decor. Products Top left to bottom right : Copper coloured basket from Kmart | Pink bowl from Coco & Creme | Table lamps from Freedom | Pink Cushion from The Banyan Tree | Blue cushion from The Banyan Tree | Homewares collection from Kikki K | Blue Plate from Gordon Ramsey collection for Royal Doulton | Sea Drift Dinner set from Tara Dennis available at David Jones. Accessories are a great way to add the latest fashion colours to your home. 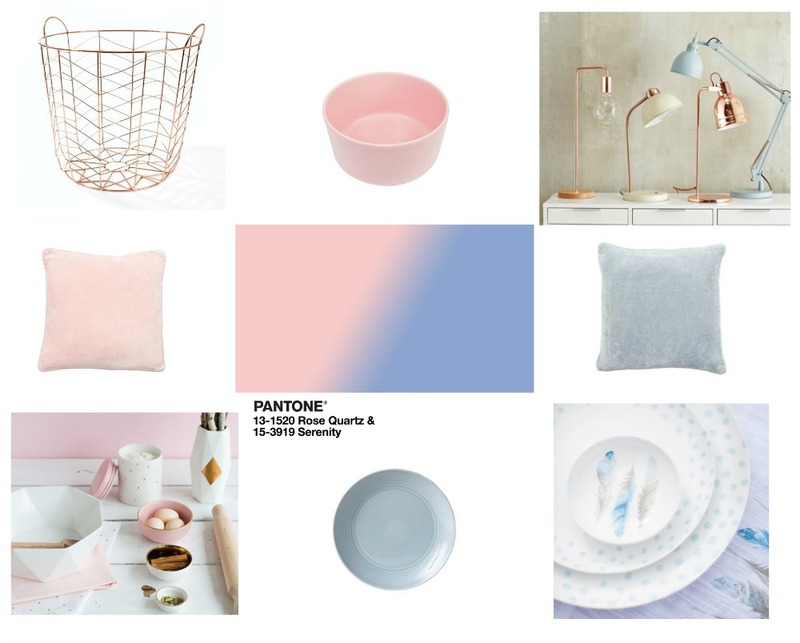 Do you think you’ll add a little rose quartz or serenity to your home this year?